This cairn was dedicated in October 1965 to sixty years of Boy Scouting in Saskatchewan. It is located south of Spruce Island, along Lakeshore Drive. 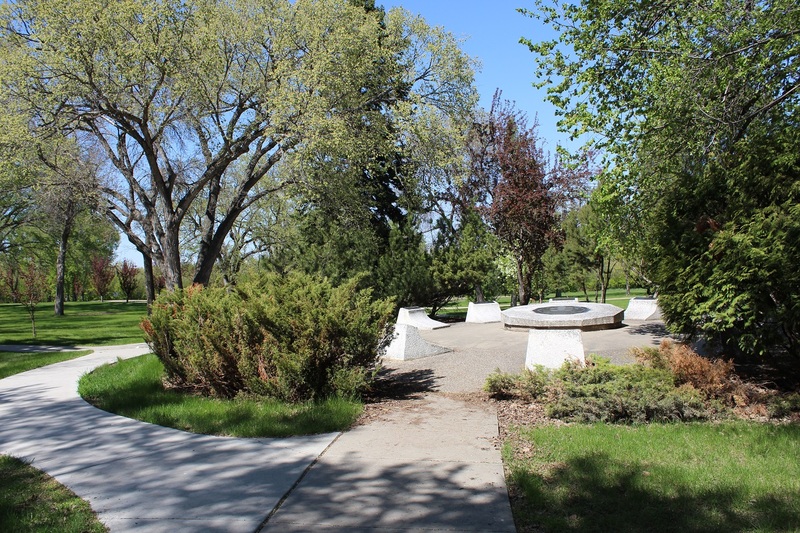 "BE PREPARED - Commemorating the 60th Anniversary of the Province of Saskatchewan and the 50th Anniversary of the Boy Scouts of Canada Saskatchewan Provincial Council 1965"
The entire monument represents a sundial.